A report commissioned by the ALCS. 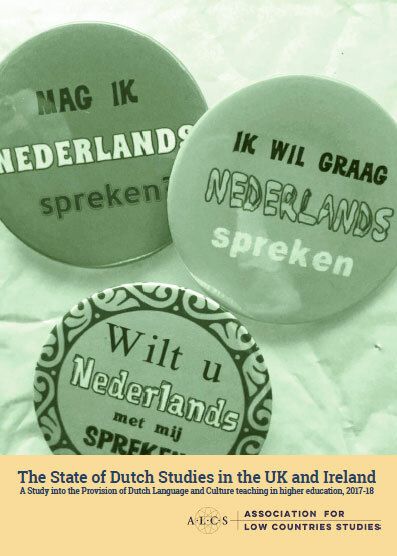 To take a snapshot of Dutch Language and Culture Studies in the UK and Ireland. A follow-up of the 2006 study Lying Low. This study is a continuation southwards of Kelly’s earlier survey of similar materials in Scottish research libraries, published in the ALCS series Crossways. The survey is published on this website as: W.A. Kelly, Survey of pre-1801 Low Countries Imprints in the North of England, Edinburgh 2011. In 2006, the ALCS has conducted a survey on the provision of Dutch in higher education institutions in Great Britain and Ireland. The aim of this survey was to gather information on student numbers, staff and programmes available to students of Dutch at British and Irish institutions of higher education. The findings are compiled in the report Lying Low? Low Countries Studies in Great Britain and Ireland in the Twenty-First Century. Activism Now and Then. Climate, protest and May 68. An Evening with Prof. Dr. Geert Buelens and Dr Laurence Scott. At the ALCS Student Days ‑ organised every other year ‑ UK-students of Dutch get together for two days of Dutch language and culture activities. 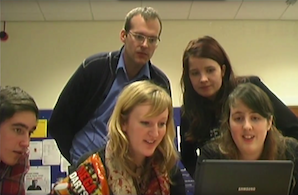 Watch this short video, where students talk about their experiences at the ALCS Student Days 2013. The Association for Low Countries Studies promotes the scholarly study of the language, culture, history and society of the Low Countries. We represent the interests of Low Countries Studies. We are sponsored by the Nederlandse Taalunie.